Niall is Founder & CEO of EVRYTHNG, providing a digital identity on the Web for billions of consumer products. A computer scientist by training, Niall is a technologist, serial-entrepreneur and angel investor. With 25 years of experience in innovation and future thinking, Niall has built pioneering businesses in internet infrastructure, the mobile internet and web services. Prior to founding EVRYTHNG, Niall co-founded pan European WiFi network The Cloud, acquired by News Corporation’s BSkyB in 2011. In the mid 90s he founded one of the first internet service providers in Africa, later acquired by UUnet. 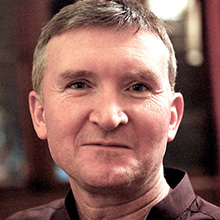 Niall co-founded scenario thinking consultancy The Digital Thinking Network. He has presented around the world, including at TED, was a co-author of the WiFi roaming framework adopted by the IETF, and has co-authored a number of patents. Niall sits on UK telecoms regulator Ofcom’s advisory board.